Owner operators Ryan and Ashley are proud to have brought to life their vision of an ideal Dog Daycare! 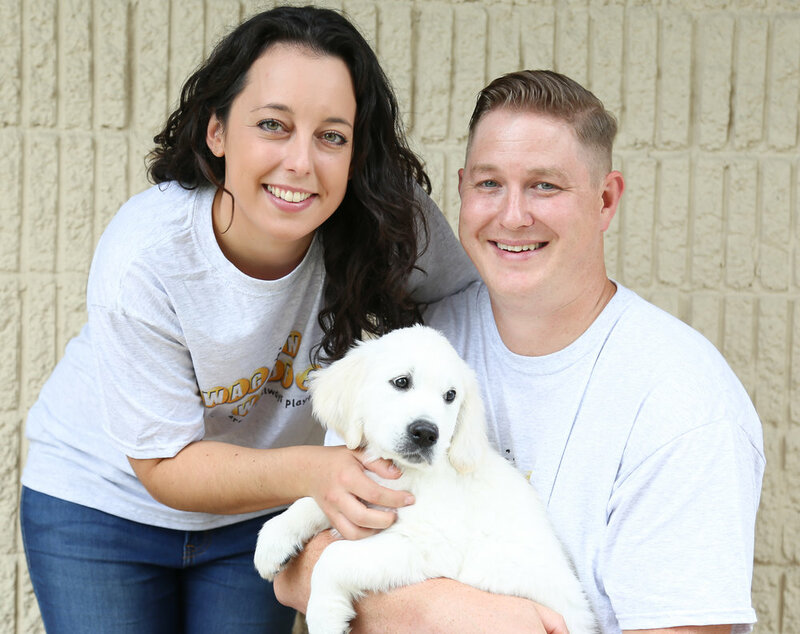 Together, Ryan and Ashley have over 15 years of experience in the Dog Daycare industry. Prior to owning Wag ‘n Woofs they worked with a fantastic team in Madison, Wisconsin learning the ins and outs of operating a Dog Daycare. This experience has been invaluable to the daily operation of Wag ‘n Woofs for the safety and health of our pack. This isn’t a hobby, it’s a passion for everything dog. Our desire to provide quality Dog Daycare services stems from our years on the daycare floor. As we watched dogs grow and learn in the daycare environment, we realized just how much this service enhances the lives of dogs and their families. You’ll find Ryan and Ashley at Wag ‘n Woofs every day, greeting you up front or in back on the play floor with your pooch. They are happy to be volunteering, fostering, and providing free services to the local rescue community. Ryan and Ashley opened this business with the help of their family and friends, so they could do what they love for the rest of their lives; and that is taking care of your pooch! We are always accepting applications & resumes for hard working, motivated individuals to join our Wag 'n Woofs pack. Please email your resume and general availability to info@wagnwoofs.com.